Conductors are generally substances which have the property to pass different types of energy. In the following, the conductivity of electricity is the value of interest. The conductivity of metals is based on the free electrons (so-called Fermi gas) due to the metal bonding. Already with low energy electrons become sufficiently detached from the atoms and a conductivity is achieved. 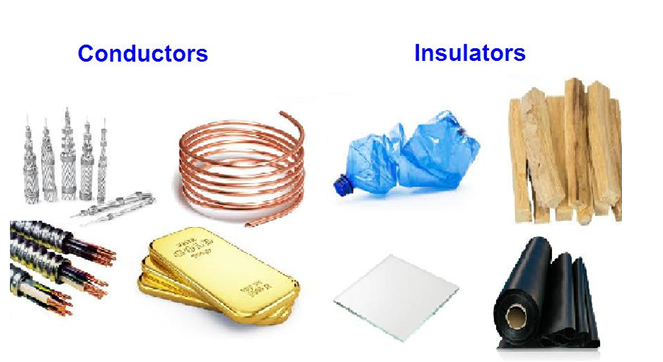 Insulators possess no free charge carriers and thus are non-conductive. The atomic bond is based on shared electron pairs of nonmetals. The elements which behave like nonmetals have the desire to catch electrons, thus there are no free electrons which might serve as charge carriers. In the solid state, ions are arranged in a grid network. 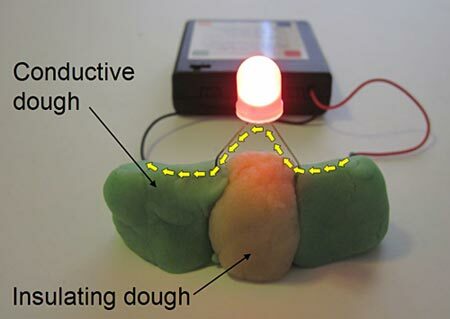 By electrical forces, the particles are held together. There are no free charge carriers to enable a current flow. Thus substances composed of ions can be both conductor and insulator. 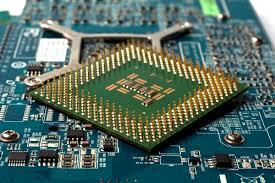 Semiconductors are solids whose conductivity lies between the conductivity of conductors and insulators. Due to exchange of electrons - to achieve the noble gas configuration - semiconductors arrange as lattice structure. 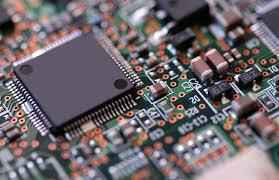 Unlike metals, the conductivity increases with increasing temperature. Increasing temperatures leads to broken bonds and free electrons are generated. At the location at which the electron was placed, a so-called defect electron ("hole") remains.